T-N.T. Upgrade bolt assembly - Material stronger, more durable, and better air-seald, let your sniper rifle get the better performance!! ●CNC Aluminum Piston & O-ring. 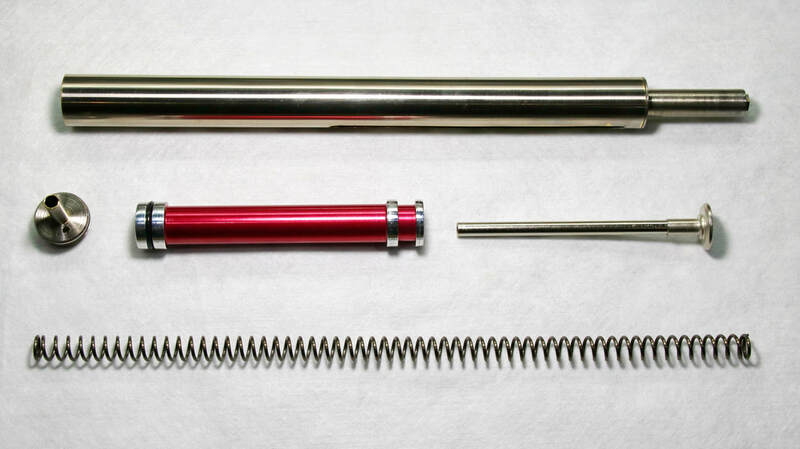 ●Steel - 7mm Spring guider. ●Steel - cylinder head & O-ring. ●T-N.T. custom spring - same power but save effort! !